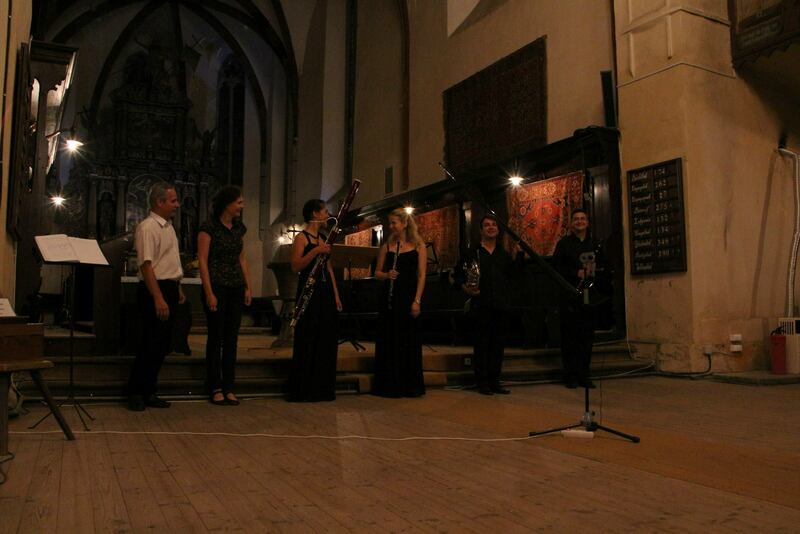 The 3rd concert of Academia Sighisoara was held at the Monastery Church in memoriam of prof. Hermann Baier. Besides the wonderful woodwind pieces, the audience could enjoy the special sound of the alphorn too. Also Botond Kostyák premiered Árpád Könczei's Intermezzo for solo double bass - a pieces that was dedicated for the artist himself. Check out the photos!